It’s Sunday Funday at HIFF 2016! 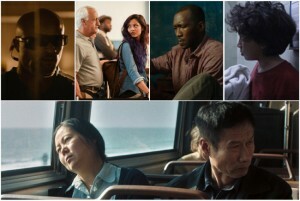 HIFF is showing no signs of slowing down. On deck today: A Conversation With Edward Norton, the Sunday Centerpiece film 20th CENTURY WOMEN, Compassion, Justice & Animal Rights winner UNLOCKING THE CAGE, the world premiere of SUPERGIRL, and our final Winick Talk. Read on, movie fans! 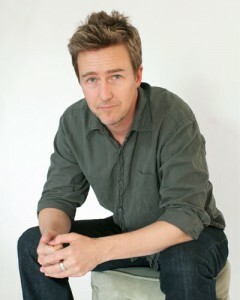 2016 Career Achievement Award Honoree Edward Norton is a prolific actor, director, producer and activist. A three-time Oscar® nominee, Norton is best known for his roles in BIRDMAN, FIGHT CLUB, THE 25TH HOUR, AMERICAN HISTORY X and PRIMAL FEAR. A Conversation With… is presented by BMW USA​. Find tickets. The remarkable Annette Bening stars as Dorothea, a single mother devoted to raising her son Jamie (Lucas Jade Zumann) into a decent man in this heartwarming comedy. Set in 1979 Santa Barbara, Dorothea assembles a makeshift family, including Greta Gerwig, Billy Crudup, and Elle Fanning. With a sensitive touch and attention to period detail, Mike Mills delivers a rich and charming portrait of the group as they explore love and freedom. Our Sunday Centerpiece film is presented by Harper Collins Publishers. LOTS OF TALK. ANY ACTION? Panelists: Terry Lawler, NYWIFT Executive Director; filmmakers Jessie Auritt (SUPERGIRL), Kat Coiro (WIG SHOP), Chris Hegedus (UNLOCKING THE CAGE), Kahane Cooperman (JOE’S VIOLIN). Moderated by Thelma Adams. 10am, Rowdy Hall in East Hampton. Free; no ticket required. Breakfast will be served! 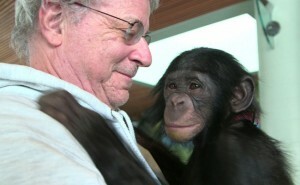 Animal rights lawyer Steven Wise makes an unprecedented attempt to break down the legal wall that separates animals from humans by filing the first lawsuits seeking to transform a chimpanzee from a “thing” with no rights to a “person” with legal protections. With Tommy and Kiko, former showbiz chimps now living in neglected cages, at the center of the debate, Wise makes a compelling argument that thrusts the case into the media spotlight. A riveting courtroom drama filled with heart and compassion in the face of overwhelming opposition. The Compassion, Justice & Animal Rights panel will follow the screening, featuring the directors and Steven Wise. Presented by Big Life Foundation. Naomi “Supergirl” Kutin is the strongest girl in the world. The 11-year-old, 95-pound Orthodox Jewish girl from New Jersey is a competitive powerlifter who can lift three times her body weight, impressing even the largest of bodybuilders. SUPERGIRL follows Naomi’s inspiring journey as she simultaneously trains for national competitions and prepares for her bat mitzvah, balanging being a teenage girl with religious obligation and fighting to set new records. With many obstacles in her way, Naomi discovers what it truly means to be strong. In a small German town after World War I, Anna (Paula Beer) mourns daily at the grave of her fiancé Frantz, killed in battle in France. One day, a young Frenchman, Adrien (Pierre Niney), also lays flowers at the grave. His presence so soon after the German defeat ignites passions in acclaimed filmmaker’s François Ozon’s tragic and tender romance. Elegantly lensed and acted, FRANTZ is a rich period piece filled with love and remembrance while dealing with a devastating loss in surprising ways. A knockout coming-of-age drama about personal identity, family loyalty, and class tensions. With wit and compassion, Muylaert effortlessly follows 17-year-old Pierre (Naomi Nero) as he receives the shocking news that his loving, working-class mother kidnapped him at birth. ‬Adding to the confusion, Pierre likes to wear eyeliner and women’s clothing, and is experimenting with his sexuality. When forced to move in with his bourgeois biological parents, Pierre must navigate between figuring out who he is and where he belongs. 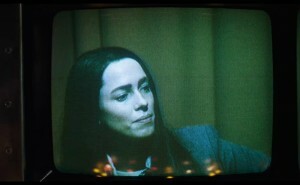 On the morning of July 15, 1974, Christine Chubbuck, a rising 29-year-old television reporter in Sarasota, went to work, sat at the newscaster’s desk, and read the news. It was a broadcast like any other, until she stopped abruptly and shot herself on live television. This true and tragic story is a riveting glimpse into Christine’s life and the events leading up to her tragic ending. Rebecca Hall’s performance is hypnotic, tracing her professional ambition, frustration, and inner torment with brilliant subtlety and sensibility. 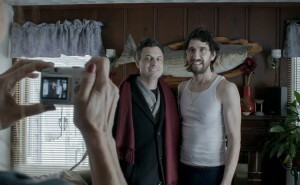 A classic buddy comedy with a hilarious twist. A successful Wall Street financier returns to his childhood home after fifteen years to settle his grandmother’s affairs. In a rush to get in and out, he loses his wallet and finds himself stranded in Rhode Island. Reluctantly, he reunites with his childhood friend, who never grew up or realized that their friendship ended. Avedisian, who writes, produces, directs and stars, is a breakout talent. A poor railway worker’s world is turned upside down when he finds a huge pile of cash abandoned on the tracks in this absorbing tragicomedy. He decides to do the honorable thing and turn it over the police, but a careless government propaganda team eager to capitalize on the story sends his life spinning out of control. Set against the backdrop of contemporary Bulgaria, where corruption and bureaucracy are givens, GLORY is a mysterious journey of one man’s race against time to expose the truth and regain his dignity. 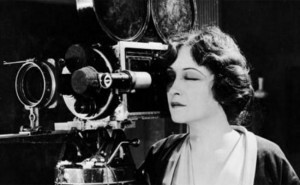 Screening in Competition. There are plenty of other films on deck today. Browse the entire schedule here.